Canadian Based Vanilla Importer,Aust & Hachmann (Canada) Ltd, Weighs in on Global Vanilla Market Outlook for 2017. 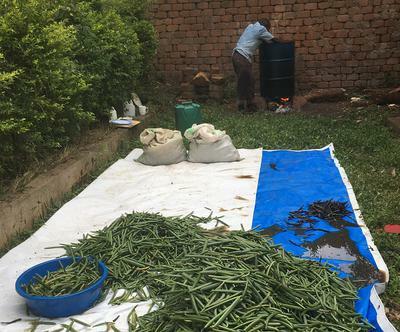 As we approach the first vanilla season in Uganda and beginning to see some ripe Green Vanilla Beans getting ready, I think it is important to review how the Market is playing out globally before you decide to buy vanilla beans from Uganda. As the 2016/17 vanilla campaign in Madagascar draws to a close, the state of the global vanilla market has deteriorated to levels unimaginable just a few short years ago. Prices have reached and will almost certainly eclipse the highs of 2003, crop sizes have fallen woefully short of expectations and the overall quality of vanilla beans has fallen dramatically. Almost all of the speculative vanilla being warehoused around the world (at some point probably over 2500mt) has for the most part been sold and as a result the market has lost an all-important buffer. Most of these stocks were liquidated before prices exceeded 100.00/kg. This report will attempt to put some reason behind the current situation and at the same time dispel with the usual conspiracy theories which tend to pop up when the market meanders through a crisis such as it did from 2001 – 2004. As it is early in the year it will be very difficult to project crop sizes for 2017. Flowering has been quite strong for 2017 indicating a good size crop. However, most of the flowering was late which means minimizing early picking, a practically impossible task under current market conditions. As we have seen from 2016, projections are rendered utterly useless when there is rampant quick curing and early picking of the vanilla beans which was the case in Madagascar. As Madagascar vanilla production drives the world market we will start our analysis here. At the beginning of 2016 vanilla prices from Madagascar were hovering in the 200 – 250 dollar per kg range and all expectations were for a significantly larger crop in 2016 than in 2015. Most buyers had come to terms with prices which still represented a significant increase from the 2015 crop. Given the recent changes of policy of several global food manufacturers, the demand for natural vanilla beans in flavoring formulations has been robust. Some flavor companies feared that despite the anticipated increase in vanilla production in Madagascar there would be a shortfall, in particular because production from other origins, such as Indonesia, Uganda and India was not keeping pace. Others felt that if Madagascar was able to meet the original projections of 1800 – 2200mt (of vanilla beans) for the 2016 crop, worldwide demand would be sated and prices would remain relatively stable. At the beginning of the 2016 vanilla harvest (April – July) prices for green vanilla were in step with the prices of cured vanilla at the end of the previous campaign, somewhere around the USD 30.00/kg level. In the previous two seasons we had already seen the growing impact of quick curing and green vanilla extraction on the green campaign. Namely the increased pressure on green vanilla prices as the harvest progressed. Several years ago a major German flavor house had already set up a plant to extract green vanilla beans just south of Sambava. Sensing a competitive disadvantage, other flavor houses, namely three of the largest global players, encouraged their suppliers in Madagascar to set up quick curing facilities in order to accelerate the harvesting and curing process of the vanilla. Quick curing is nothing new in the vanilla industry but it has become decidedly more sophisticated. Today there are several vanilla exporters in Madagascar who have the capacity to quick cure but not all possess the skill or knowledge to do so effectively, so results are very mixed. As a direct result of the advent of quick curing on a larger scale, combined with the green extraction previously mentioned, the pricing pressure on green vanilla at the outset of the 2016 harvest was intense and unrelenting. By the time the green campaign finished the price of green vanilla had exceeded USD 80.00/kg. Furthermore, a large percentage of the green vanilla was harvested too early resulting in an immature crop over all. This had a devastating impact on curing ratios which under ideal conditions would be 5 – 5.5 kg of green vanilla for 1 kg of cured. Most vanilla professionals on the ground in Madagascar today would concur that the 2016 curing ratios were more in the range of 7.5 – 8kg of green for one kg of cured. As a result we can easily see how an expected crop of 1800 – 2000mt was reduced to one that was probably no larger than 1200mt for 2016. Read the Full Report @ Aust & Hachmann (Canada) Ltd/Ltee.